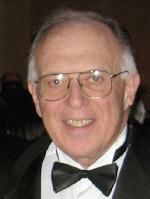 Leonard Oberlander is a consultant on international and intergovernmental matters to business and government leaders. On the Board of Trustees of People to People International, Leonard erves actively promoting its mission of peace through understanding. Among his other affiliations, are those of advisor and speaker for the Association for Third World Affairs and Trustee of The (President) James Monroe Memorial Foundation. Formerly (1991-2000), as National Advisory Council Member and Washington Director of the Center for the Study of the Presidency, Leonard initiated and directed the Center’s Cooperative Program for White House Interns and many of the Center’s international programs. Retired (1995) after service with five Federal Departments, he previously served as Associate Director, Courts of New York City, and with American University, Center for Research in Social Systems. Leonard is co-author of Military Civic Action and author and editor of Quantitative Tools for Criminal Justice Planning, the first textbook in its field. He is the author of numerous published studies in aviation economics and author/co-author of articles in academic journals on behavior and perception. Leonard resides with his wife, Marina, in Washington, DC.